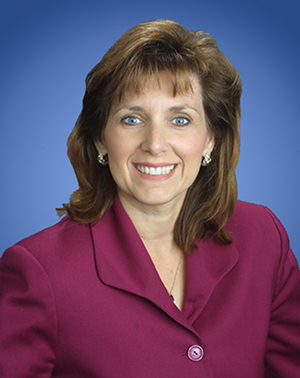 Karen M. Rezendes is the Managing Partner of Lozano Smith. Karen has extensive expertise in all areas of private and public sector employment law including effective employee recruitment, retention, employee contracts, evaluation, investigations, equal employment opportunity issues and discipline. Karen is also an expert in employee/employer relations and negotiations. Over her 28 years of experience, Karen has negotiated hundreds of agreements with labor associations throughout the State of California. Karen also provides day to day employment and labor law support to public and private sector employers and supports education and public agency clients regarding the Brown Act and board governance, student issues and general school and public agency law. She is a well-recognized and frequent presenter and writer on Board Governance, and employment and labor law, a proponent of Interest Based Bargaining and an experienced and certified Trainer of Trainers regarding effective negotiations practices. A significant portion of her practice is devoted to advising and assisting education and public agency clients including board members and administrators regarding preventive measures to avoid litigation, ensure excellent business practices, encourage positive labor relations. In addition to her work as an attorney, Ms. Rezendes has experience as a school administrator, hearing officer, and "pro tem" Superior Court judge. Ms. Rezendes served as Director of Human Resources and General Legal Counsel for a County Office of Education and a large K-12 unified school district. Her work as a school administrator has provided her with a client's perspective regarding the need for timely, cost effective, quality, and practical legal counsel. In 1989, Ms. Rezendes received her J.D. from Santa Clara University School of Law and was admitted to the California State Bar. While attending Santa Clara University, she served as business editor of the Santa Clara University Law Review and won, together with her partner, the Santa Clara University Moot Court Competition. Ms. Rezendes also completed the Harvard Law School, Program on Negotiations, Master Negotiations Course. She earned her B.S. in Business Administration with an emphasis in Personnel Administration and Industrial Relations. The Affordable Care Act "Employer Mandate": Are you Prepared for 2015?